Note, first, that in all walk drawings (with the possible exception of a character who is out of balance, such as a drunk), the body weight is always in balance with the leg positions. More important, the body is raised higher in the passing position than in the key extremes. This is because, in the passing position, the leg is straight beneath the body, and, since the leg does not shrink, it naturally forces the body upward. Now that the passing position is complete, the inbetween must be put in. 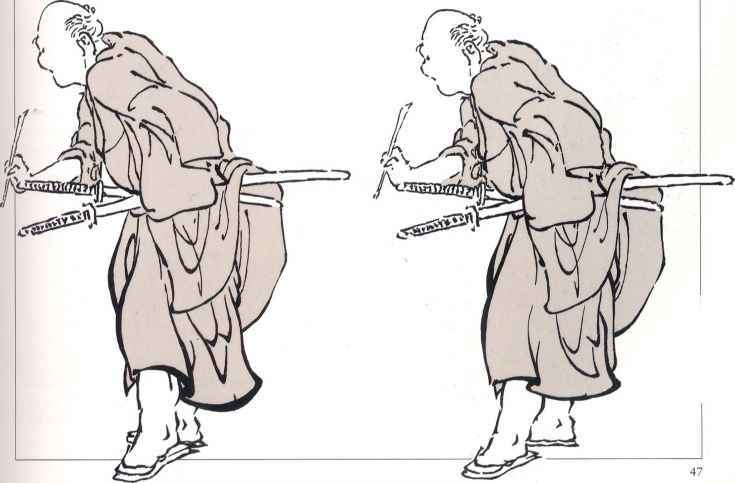 Note that the height of the two inbetween body positions falls naturally between the extremes and the passing position. The free leg, however, is not a natural inbetween. In drawing 3, the toe is still in contact with the ground; otherwise, the body weight would not be in balance with the legs and the figure would seem to fall backward. In drawing 7, the heel of the foot is also touching (or in near contact with) the ground—again, to aid with balance. This, then, is a standard walk step. To complete the movement, the next step must be animated—from drawing 9 to extreme drawing 17. This time the other foot is the one being lifted up, brought through, and put down ahead of the body. Note how the contact foot always locks into the same place on the ground while everything else moves forward. Although this procedure is the most time-consuming way to produce a walk, it does give you the advantage of varying each step, according to the demands of the scene. In a walk cycle, the two extreme positions are basically tracebacks of each other. There is, however, a slight difference: although they are in identical positions in relation to their screen location, in drawing 1 the right foot is trailing, and in drawing 9 it is forward. NOTE: BODY DOES NOT MOVE FORWARD PROM CENTER LINE. ONLY THE FEET SLIDE. 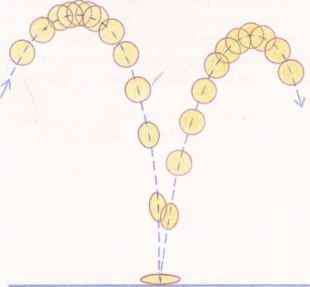 For the passing position, the body is merely raised vertically, while the foot is slid back along the ground to the midway position. The free leg is positioned as in a normal passing position. Remember that the body is merely moving vertically up and down (not forward), while the contact foot is slid back midway. What is passing position in computer animation ?